Ben 10 is going out for another adventure and wants to maintain peace and quite of the universe. Help him to kill all enemies and collect bonuses from boxes and containers. Ben 10 adventures show us how interesting, exciting and dangerous life could be. He always finds adventures on his way, but sometimes adventures find him first. 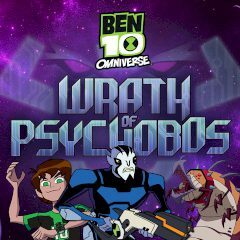 This time a supreme villain wants to end his journey, but Ben 10 will do everything possible to stop the cruel enemy.